TOKYO (Reuters) - Flea market app operator Mercari Inc's <4385.T> shares surged 77 percent in their Tokyo stock market debut on Tuesday, underscoring strong investor appetite for a rare Japanese unicorn bent on U.S. expansion. Shares rose as high as 6,000 yen in early afternoon trade, hitting their daily limit high and valuing the company at as much as $7.4 billion. The listing makes Mercari the most valuable firm on the Tokyo bourse's Mothers market for startups, ahead of games and social network company Mixi Inc <2121.T> and robotics firm Cyberdyne Inc <7779.T>. A popular smartphone app that allows people to trade used items online, Mercari has been downloaded 71 million times in Japan where it has 10.5 million active users. It makes money by charging sellers commission, and expects sales to jump 62 percent to 35.8 billion yen ($325.93 million) this financial year. Mercari shares already look expensive, said Masayuki Otani, chief market analyst at Securities Japan. While the app is well known in Japan and is still growing, it is likely to face more competition at home, he said, with companies such as Rakuten Inc <4755.T> and Start Today Co Ltd <3092.T> offering used-goods services. 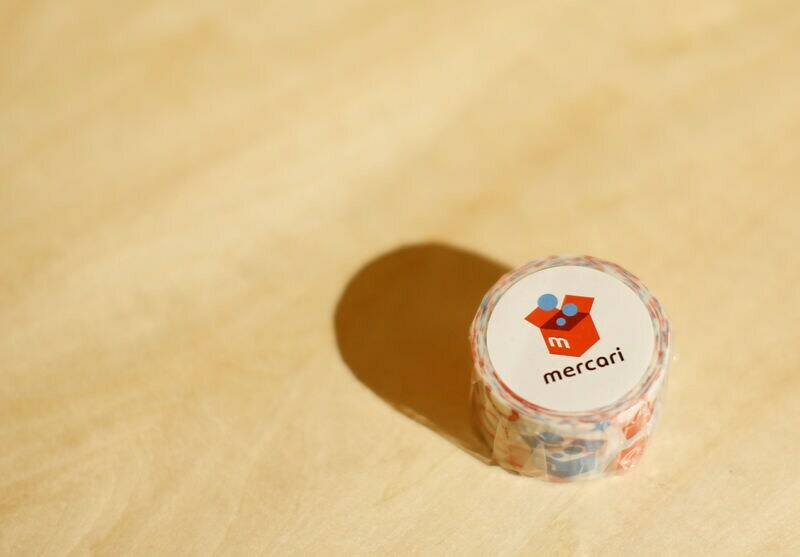 Mercari shares closed at 5,300 yen versus their initial public offering price of 3,000 yen. The benchmark Nikkei 225 index <.N225> fell 1.8 percent. The IPO, the biggest in Japan this year, raised $1.2 billion through the sale of around a third of Mercari's shares, with the majority bought by overseas investors. The company is profitable at home but is losing money in the United States, where its expansion plans are being headed by former Facebook Inc <FB.O> executive John Lagerling. Chief Executive and founder Shintaro Yamada said at a Tokyo news conference that the company is not providing a timeline for U.S. profitability but expressed confidence about achieving it. Mercari's U.S. expansion dragged it to a net loss of 4.2 billion yen in the last financial year through June 2017, with a further loss of 3.4 billion in the nine months to March as the company committed funds to improving its brand recognition through advertising. The app launched in the UK last year, with Yamada offering Germany and France as candidates for future expansion. In a country that has many successful giant corporations but lacks a vibrant startup culture, Mercari gained attention as one of Japan's two unicorns - startups with valuations above $1 billion - according to data provider CB Insights. The other is information technology startup Preferred Networks Inc.
Mercari's rapid growth has created a wealth of experience that could support other entrepreneurs, said Largerling, who is from Sweden, spent 14 years in Japan and was speaking in Japanese. Japanese venture capital is also becoming more flexible in its dealings with companies, he added. Mercari's growing popularity as Japanese shoppers shed their inhibitions about buying and selling used goods has seen it join the ranks of companies such as Uniqlo parent Fast Retailing Co Ltd <9983.T> that have grown by appealing to consumers' economising instincts. The app has outperformed rivals with its focus on mobile, its ease of use - with users able to trade goods with just a few taps - and by offering anonymity to its privacy conscious Japanese audience.